Where can I find video and audio for formal mindfulness practice? There are many places that these can be found. Cultivating Conscious Leaders short and long sitting meditations and Mayo Clinic’s Breathing Meditations are sound recordings I started using in my classes until I was comfortable guiding groups on my own; these are a great starting place! Head Space – This app claims “meditation made easy.” My husband started using it recently and really liked it. He found it approachable and accessible as a newbie. It is a pay service; if you sign up for a year, it’s $7.99 a month. You can also start with a ten-day free trial. Headspace also has some great videos on their Youtube channel that can be used when getting started. Insight Timer – This is the app that I use. It’s free and has a wide variety of different practices and a simple timer to use. When beginning a practice, I would recommend Tara Brach’s Basic meditation and Jack Kornfield’s Breathing Meditation. Both are listed in the “Top Twenty” menu. Simply Being – This app uses what’s called an “open monitoring” practice. This means that all stimulus are given equal attention, which has been shown to increase creativity but doesn’t have the same “focus-based” benefits of the focused attention, breath-based practice. I use it for relaxation. Gaia – This is an online resource I subscribe to for $10.00 a month for my at-home yoga practice, but it also has many meditation videos. Tara Brach’s Podcast – Brach’s podcast has hour-long talks that include some mindfulness practice. Real Happiness: The Power of Meditation: A 28-day Program – This book by Sharon Salzberg is how I got started with my own mindfulness practice. Lastly, I am very willing to record some practices for you all. This is not something I have done before, but I have been pondering it. If anyone has podcasting/Youtube skills and is interested in helping, please reach out. How can I do formal mindfulness practice without your voice guiding it? Posture and Place: Find a quiet place to sit either on the ground or in a chair. If you are in a chair, make sure that all four corners of your feet are planted firmly on the ground and your arms are in an open posture, hands resting on thighs or knees. If you are on the ground, you may want to place a pillow under your seat for comfort. Once you have found a sitting position that works for you, imagine that there is a string attaching the very top of your head to the ceiling (or sky). I tell people they can imagine this string and sway their body slightly under it to begin. This keeps you relaxed but also steady and upright. If you would like, you can set a timer for your practice. I suggest beginning with five to ten minutes. Become Aware of your Breath: Bring your awareness to your breath. Don’t simply notice your breath, but instead feel it. You might become aware of how your breath feels in your nostrils, alternately warm and then cool. You might become aware of how the air feels in your lungs, first expanding and then contracting. You might become aware of how the air feels in your abdomen, gently rising and falling. Wherever the sensation of breathing is most prevalent for you, rest your awareness there lightly. Accept Your Experiences: As you engage in this practice, you will notice that thoughts and feelings occur. Know that this is ok, normal, nothing you need to change. Just gently bring your awareness back to the breath over and over. If it helps, you can use a technique described by Sharon Salzburg in her book Real Happiness. Imagine your thoughts as clouds in the sky. They are present, but they float through your experiences. You don’t have to invest in your thoughts. Simply let them pass. This same process can be used for the emotions. Above all, remember to be gentle with yourself, no matter your experiences. There is no right or wrong way to think or feel. You are simply being present with whatever unfolds. Do you see any similarities between formal mindfulness and the practice of prayer for a religious person? This is an interesting question. One thing I love about mindfulness is that it can be practiced any time by any person and requires no particular belief or value system; it is all inclusive, secular, and can help anyone. This being said, when I do more in-depth work with people through a workshop series or a full-length course, I have discovered through their written reflections that many participants connect formal practice to their individual spiritual and/or religious experiences and practices, prayer being one. The difference between prayer and mindfulness is that mindfulness practice is about focusing attention on a particular stimulus and is a kind of brain training, while prayer may have many and varied forms and purposes (brain training not being one of them). Anecdotally, religious people who have taken courses with me have said that mindfulness enriches their chosen religious path, including prayer. Do you do one-on-one sessions? We meet once every two weeks for two hours, with homework sessions emailed on alternate weeks. If you are interested in this program, shoot me an email! On other notes, someone had inquired about mindfulness and implicit bias- a powerful and timely topic. Here is a practice I published called “Narratives of Inclusion” on Mindful Teacher that might be worth checking out on this topic. I also chatted with someone about quick stress interventions after one of the workshops, and mentioned heart-focused breathing. Here is a link to that practice. 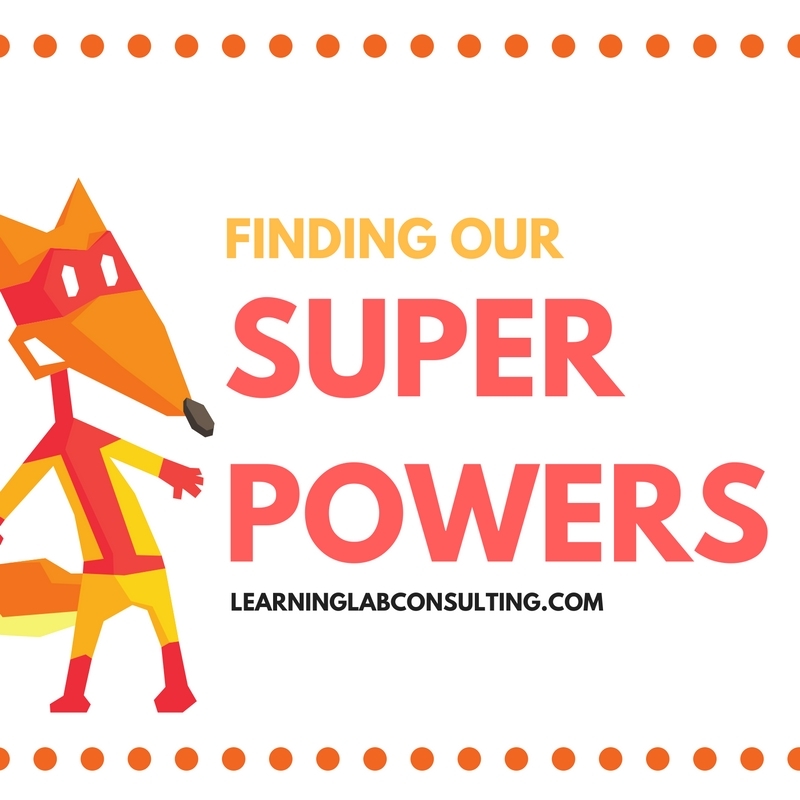 Hope these tips help you to build your own super power. Questions? Comments? Suggestion? Leave your thoughts on the blog or contact me here.